Remember last week I told you I wanted to show you something very VERY pretty? Well here it is. 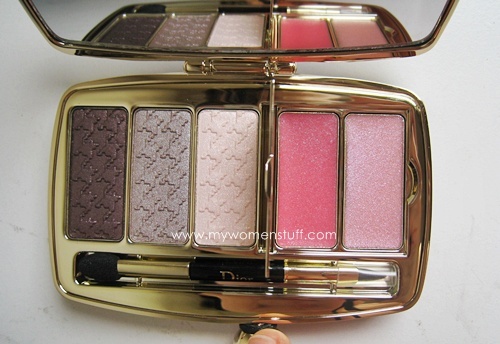 Ladies, feast your eyes on the Dior Minaudière Eyeshadow and Lip Gloss Palette – Dior’s star product for Holiday 2010. 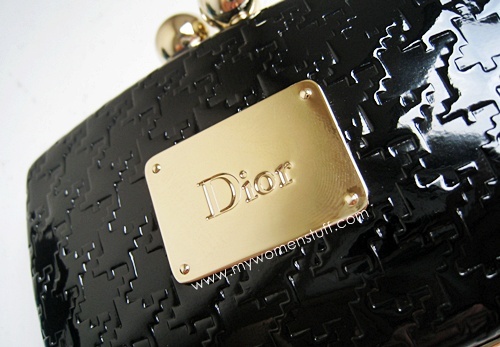 Its early days yet, and I haven’t seen many other Holiday 2010 collections, but I am going to stick my neck out and say that this one from Dior is a winner and a half. Did I say half? I meant a mile. What is a “Minaudière”? I hear you wonder. Well according to the Merriam Webster dictionary, it is a small decorative case for carrying small articles like cosmetics or jewellery. 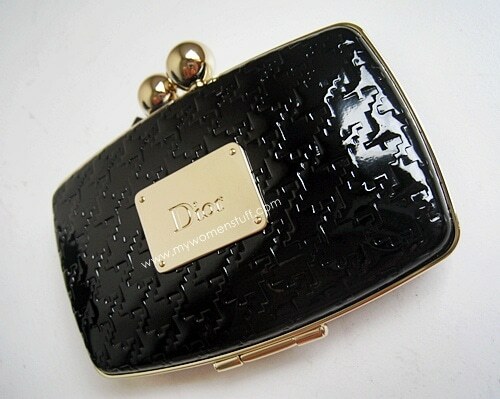 Its French of course and for a bagaholic like me, cosmetics in a clutch is a perfect combination! If you know me by now, you’d realize I’d diss a palette that has cream and powder items mixed in. Well, Dior thought of that this year. They designed a gold plated flap to cover the cream products so there is no cross contamination! How wonderful is that?! The lacquered black clutch looks amazing – I almost wish I could reuse it after the cosmetic products are used up because it deserves to be used, not just stuck on your dresser somewhere, looking pretty. I’ll try to find a way to get it to work! It closes with what feels like a magnet but which might just be physics at work. There is no clasp per se. There will be very very limited stock coming into Malaysia so if you’d like to make sure you do not miss out, better make a reservation with your favourite Dior counter. It will retail at RM226 (I think) and you should expect it in late October/November 2010. PREVIOUS POST: Revelation: I enjoy Chinese women magazines more than English ones! *fans Hanny* *holds smelling salts under nose* feeling better? That’s not pretty, that’s stunning! It’ll be great if they would have refills because that’s a palette people would want to re-use. it looks great. i particularly like the cover over those lip products. it’s a nice touch they added to the palette and all palettes should be like this! 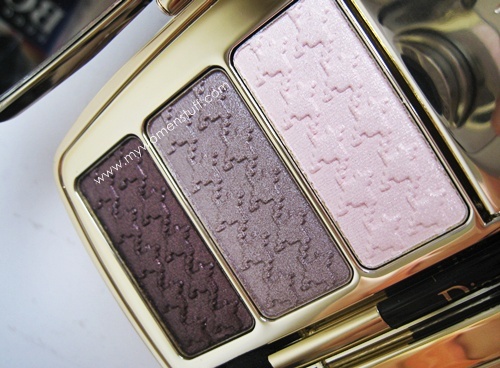 the eye shadows are beautiful too. Pretty! Its nice to see that someone finally thought of including a cover for cream products. You said it! Its about time cosmetics companies realized that cross contamination does occur and when it does, its NOT pretty! Be still my heart. It’s too pretty! I don’t think I could bring myself to use it. Sigh~ This is going to be a very painful holiday season for my wallet..
omg it REALLY is pretty!!! 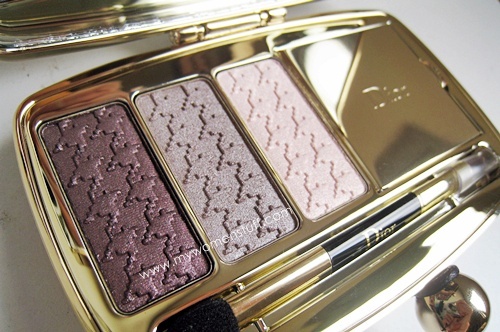 the eyeshadow colors look pretty too!! That’s what I liked too! 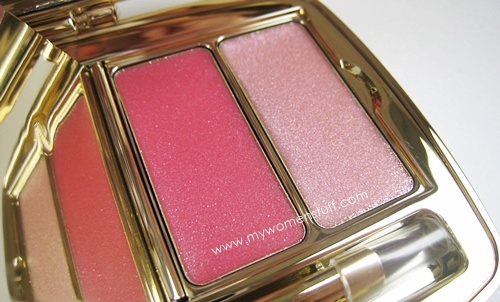 The colours are wearable and look nice – its an excellent package! faint. this is too pretty! It’ll be so nice if the cover can be re-used…Will be waiting for your swatches! They are absolutely gorgeous. The flap- practicality! Love it! The packaging is gorgeous and I love the plated flap that covers the cream products. All mixed palettes should have it! The colors are lovely and wearable too. this is gorgeous… i m so going to get it even though christmas is 2 months away… 🙂 it’s not available here yet??? how did you manage to get it??? I love swatches *hint hint*…?…. I’m hyperventilating ?